She really cares and lets you know everything that she is doing out of respect for you and your body. Student helpers were very courteous. Receptionist was very kind and helpful. Dr. Falzon truly wants the best for all of herpatients and I couldn't have picked a better doctor. I will definitely be returning to her office. Love the ladies at the front desk! Ms. Maria also was so attentive and straightforward. Thanks! She's great! Very personable and insightful. Receptionist was rude and I waited over 30 minutes before I had to leave. Dr. Falzon listened to and carefully recorded my family history, asked lots of follow-up questions, and made several referrals. I felt very comfortable with her! Dr. Falzon was great: very attentive, asked a lot of questions, provided suggestions and took her time. I did not feel rushed. She explained every step she took during the exam so I knew exactly what to expect. Overall very pleasantfirst time experience. I’d like to see this doctor again in the future. Dr Falzon is awesome, incredibly gently, listening and great support. The best gynecologist I ever had. Overall great experience, very professional, communication was great - she kept me was very clear about each part of the visit. Dr. Falzon was so sweet and very gentle. She made me feel very confortable and made the appointment quick! Her staff was very friendly and helpful, they made it clear that I can call at ANY time with questions or concerns. I am so happy I found this office! Dr Falzon was amazing! Very attentive, very kind and had great, thoughtful answers to all of my questions. She also had great ideas for changing up previous prescriptions that hadn’t been great for me in the past. I would strongly recommend her! It was a pleasurable experience. Dr. Falzon-Kirby is delightful and professional. She walks you through the process and explains it thoroughly. It was quick and done carefully. I? was nervous about finding a new doctor, as I? just moved to thearea, but not only is the location convient for me but my experience also made going to the lady doctor less of an anxious process. Highly, highly recommend. Very helpful and professional - I was a bit late but they were very accommodating. The Dr. was pleasant & the entire procedure took about 20 min. That being said, the wait time was over an hour, which did not make sense as I had an appointment & also because there were not that many patients. Wonderful doctor!! I really felt that she cared about me and my health. I did not feel rushed at all through appointment. Her office staff was also very nice and accommodating. Extremely happy with her as a gyne and PCP. Highly recommend. This was my second time visiting Dr. Falzon's Arlington office, and the second time I had to wait over 30 minutes past my scheduled appointment time. Both times I arrived at least 10-15 minutes early to check-in and finish any necessarypaperwork, and still had to wait at least 30 minutes to be seen. I like Dr. Falzon and I'm not sure if it's a lack of efficiency with the staff or because she is the only doctor in the office but both times it has been frustrating. This last visit was particularly frustrating because I waited almost 40 minutes for a 5 minute appointment. Dr Maria Falzon-Kirby is a good consulting doctor. She give information that you need to know. Let you know what she's going to do next if you are a curious person as I. Received a bill 2 months after my visit from Quest Diagnostics (listing Maria Falzon as the referring physician) for several hundred dollars. Have tried calling both of her offices and Quest Diagnostics for an explanation of what these chargesare related to but nobody seems to have any idea. Don't they have files detailing patient visits?! Recall her office aid trying to get me to agree to have all these tests done when I was at the office (I declined). They were extremely pushy and I am not too shocked that I am now receiving a bill for a bunch of test that sure don't sound like anything I had done. Dr. Falzon-Kirby was fantastic! She was extremely professional while also facilitating a personal and comfortable rapport. The visit was quick and efficient. I would recommend her to anyone looking for an MD! Was not a very welcoming environment, very long wait time. Did not transfer my information to my new doctor, not a very organized office. She was so helpful and attentive. I don't know that I've ever been so comfortable or pleased with a gyno visit. Very professional doctor. Listened to what I had to say without interrupting. Will be seeing her again! Avoid her office at all costs! I had multiple bad experiences and ended up switching doctors when I was 8 months pregnant, which was very scary for me. Her staff is incompetent and don't care about her patients at all. Evenon my last day, her head secretary was incredibly rude. And while Dr. Falzon is nice, she doesn't have a handle on her staff, can be forgetful (which was worrisome from the start), always outsources when she has questions (instead of getting answers, I always for a referral), and is irresponsible when it comes to charging patients. I ended up spending so much more because of this. And yes, I have insurance. But it felt like she runs her practice in the most profitable way versus what's actually best and necessary for her patients. I'm so much happier with my new doctor now and only wish I'd made the switch away from Dr. Falzon sooner! she is very good in what she does. The reception staff at the office was nice, and they were able to call my insurance company to ensure that I had coverage (it's an oddly specific plan under Cigna). 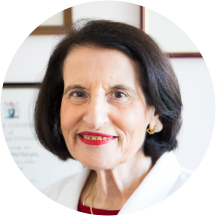 Dr. Falzon-Kirby was quick with the exam and made sure toexplain everything she was going to do during it. I wasn't pleased with the two women who took my weight/blood pressure and drew my blood. The one who took my blood pressure asked me afterwards if anyone has told me I had high or low BP, which made me worry about my results. She said it was fine, so why would you even ask me that? The one who drew my blood was pretty cold, which I found confusing. I hate needles in my veins, and I was clearly anxious about it. Her bedside manner was nonexistent; the process was fine but I would rather have someone who's a bit more empathic and a little less robotic in their work with another person. She was amazing! It was my first visit at a GYN and she made me feel so comfortable. She was kind, professional and explained everything. Very maternal and kind as well. All the staff were female, can't recommend this practice more. Dr. Falzon is incredibly cautious and ordered a bunch of exams for me when I shared with her my concerns. Even though I did not get an answer right away, I felt like I was in good hands. She is absolutely a wonderful and amazing Doctor! Super well prepared. The actual appointment was fine, Dr. Falzon-Kirby was very pleasant and listened to my concerns/questions. The office was very inconvenient though. I had to park in a garage that charged by time, and because of how long I waited to beseen, it was quite a bit. The security guard was very rude to me, and the layout of the hospital was difficult to navigate. I found the doctor to be great. There is a long wait time if you go on the weekend be prepared to wait or call ahead to see if you can come in later. After speaking about my concerns, she said she would prescribe something before the test results came back to sooth symptoms yet nothing came into the pharmacy I requested it to go to. She was incredibly kind, professional and knowledgeable. Everyone in the office was very sweet and helpful! Great experience, I highly recommend. The doctor is very patient and willing to listen. She explains things carefully and always let you know what she is going to do next and what is that for. This is my first time seeing her but highly recommend! PS:remember to call before leaving for the appointment so that you will have a better estimate of the wait time. It's always very professional and helpful. Dr. Falzon was extremely polite and friendly while still being so professional and knowledgable. She made sure I knew what she was doing before she did it and explained in detail her recommendations for me! Will be going back! Dr. Fallon is super nice and responsible! I really liked the visit and surely will go back again! Apart from the waiting time, everything is perfect! She is wonderful! Very knowledgeable, compassionate and thorough! Office is a bit dated but do not let that get to you, this is a GREAT physician. She was amazing, so thorough and explained things so clearly and precisely! The nurses were very kind and gentle with my many blood withdrawals! I would highly recommend her!she will be my obgyn throughout my pregnancy as I'm very comfortable with her! My visit with Dr. Falzon was great! She treated me so kindly and was very patient with my questions. Highly recommend! I saw Dr. Falzon-Kirby for the first time today. Her office staff and medical assistants were very helpful and kind. I found Dr. Falzon-Kirby extremely professional, compassionate and knowledgeable. She is professional with a caring bedside manner. I was impressed with her. She took my concerns seriously and ordered tests to check things out as well. The girl who drew my blood did so effortlessly, and basically painless. Blood draws in my past have been very tough at times, so I was so impressed and thankful with the ease of the blood draw. I saw the Dr. at her office and Arlington, and I would highly recommend her. She was very thorough, super professional and CARING. All the things you expect from a doctor but that are so hard to find nowadays! The staff was rude, I waited for 1.5 hours and it was overall awful! Dr. Maria Falzon-Kirby, MD has no appointments on Zocdoc right now.